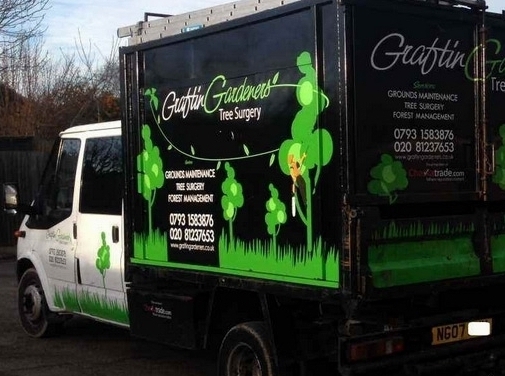 Tree Surgeons Wimbledon is joint company of GraftinGardeners arboriculture experts specialising in the removal and maintenance of trees in Mertonand throughout London. Never before have you encountered a business like ours with the manpower and machinery to carry out all types of tree surgery operations no matter the size of the job. The founders Adam and Peter grew the company from the ground up and have strived to achieved the highest possible standards and are now a well-recognised brand and are without a doubt one the best in the arboricultural industry. No other tree company has achieved the same results recognition and for good reason. We are highly organised and eco-friendly. Nothing goes to waste as wood whip is used for biomass fuel,logs are split, seasoned in our biomass kiln and sold for fuel. Each and every team is fully qualified so you know what you’re paying for is what you get. A team of experts with years of experience in pruning, felling and stump removal. We go to great lengths to insure everything runs smooth as possible and our customers have a pleasant experience when working with us. Nothing goes to chance and is enforced by our £10 million public liability insurance policy. Call us today for all your arboricultural requirements. UK (London) based business - establsihed in 2009 - providing tree surgery services. Website includes details of services provided, work examples, associations belonged to, testimonials, certifications and details of awards won, full contact details.